The series was a draw. That is a fact that no one can change thanks to the absurdity of having a two match series. England do not play another test match until August. This series is just crying out for a third game but that will not happen. Thankfully it does not matter to my system. There will always be winners and losers. Pakistan scored 1,737 points in this series and England ended with 1,623 points. If Ben Stokes had not to get injured then I can say with utmost confidence that England would have been way ahead of Pakistan. Ben Stokes had 143 points to his name. In all probability he would have bowled and batted better than Sam Curran. That though is what I like about the system. One player can make a difference. That is how it is in cricket and that will be the way it will function in my system. For this test match I entered the points at the beginning and end of the test match. I have started recording the close of play scores so going forward it will be useful to see how the scores change with the days and it will make for a more interesting graph than the one below. Mohammad Abbas was the pick of the bowlers. He bowled really well throughout the series and his spell at Lords was devastating. It is a pity that he could not get his name up on the honours boards at Lords. He truly deserved it. In this list; the people who bowled sub par are Dominic Bess, Shadab Khan and Mark Wood. The pace trio of Abbas, Amir and Ali did exceptionally well. Jos Buttler seemed to be batting on a different wicket all together. There are still a lot of people who have not embraced him as a test match player yet. This is understandable. I liked the way he batted and his temperament. I do not have enough data to pass judgement. My view is simple. Like it or not the Indian Premier League is here to stay. It will be financially very lucrative for players. I doubt whether there will be anything in the near future that will be able to compete with the IPL in terms of audience or money. I also believe that getting white ball cricket practice is better than getting none at all. Playing the IPL will be a huge learning curve. Your weaknesses gets exposed within two or three matches. Spending time with other international cricketers will definitely be a learning experience. There is of course a high level of competition. Not everyone will get a chance to play in the game and will probably be bench warmers. In those cases you can make the case that it would be better for them to play in the domestic leagues. That being said; the general sentiment of all the guests in “The Debate” was that domestic cricket did not prepare you to play cricket at the international level. I could go on about this topic and I do think that it deserves a thorough look in a separate post. Chris Woakes does not make it into the XI because Anderson bowled better. For the 12th man I would have either Shadab Khan or Faheem Ashraf. Once again the openers and bowlers picked themselves. The only two positions that were “Open” was of the Wicket Keeper and Spinner. I solved the Wicket Keeper problem by using Buttler to keep. The numbers backed Bess over Shadab Khan. I mentioned in this blog of mine that I have to accept the numbers irrespective of whether I agree with them or not. The numbers back Bess up and I have to go with him because of it. If someone had to ask me to name my test XI at the start of the test match then I definitely would not have picked the side above. I would probably have had Broad instead of Hasan Ali, Shadab Khan instead of Dominic Bess, Baristow instead of Buttler and Stokes instead of Shafiq. That is what makes this interesting. I still do not know what to make of it. Six and a half days of cricket is way too little. That I believe is the biggest disappointments this series. 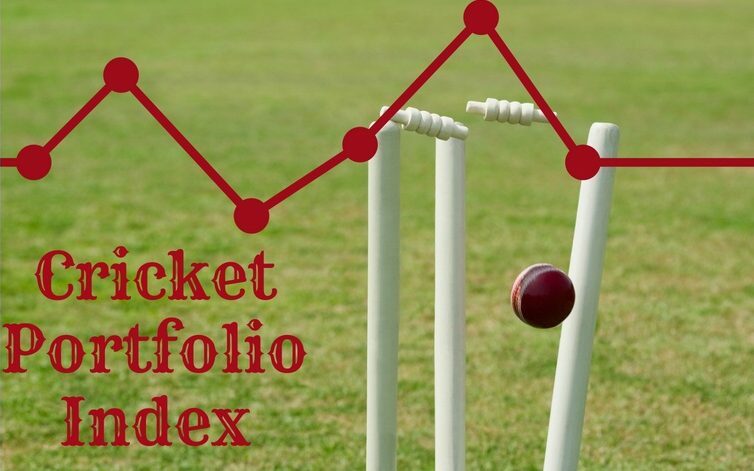 Next Next post: Cricket Portfolio Index T20I: Afganistan: The new kids on the Block.